The choice to buy used cars Vancouver or anywhere in the Lower Mainland of BC is accompanied by literally 100’s of choices, just in used car dealerships not to mention the thousands of vehicles for sale on a given day by private owners as to where you can buy used cars. Vancouver actually has less used car dealers per capita than most other cities the area simply because more Vancouver car dealerships tend to locate outside of the city because of land prices. Because of the Internet and the ability to research online in as detailed a way as possible, our shopping and browsing choices expand for dealerships in which to buy used cars. Vancouver really needs to be looked at as one market area from West Vancouver to Chilliwack if you are looking to find a used car for sale in Vancouver. 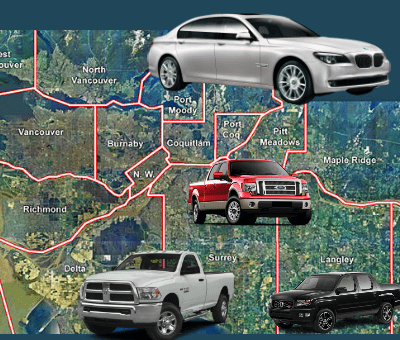 Country Road Auto Sales is located in the heart of the highest concentration of used car dealerships in Vancouver area just off the Langley Auto Mile in Langley BC about 30 minutes from Vancouver. We pride ourselves on being the best used car dealership Vancouver area car shoppers could ask for. Country Road Auto Sales is a family-owned used car dealership and proud of it. Our selection of used cars for sale in Langley BC is constantly being updated and we have a great selection of quality used cars under $10,000 ready for your test drive!